Removing barriers that often stand in the way of people joining the workforce, like the lack of affordable child care and housing and a criminal justice system in need of reforms. For Arizonans, it is time to hold our elected lawmakers accountable to the promises they made while running for office, to put aside partisan differences, and work together toward a state which provides economic opportunity for all. 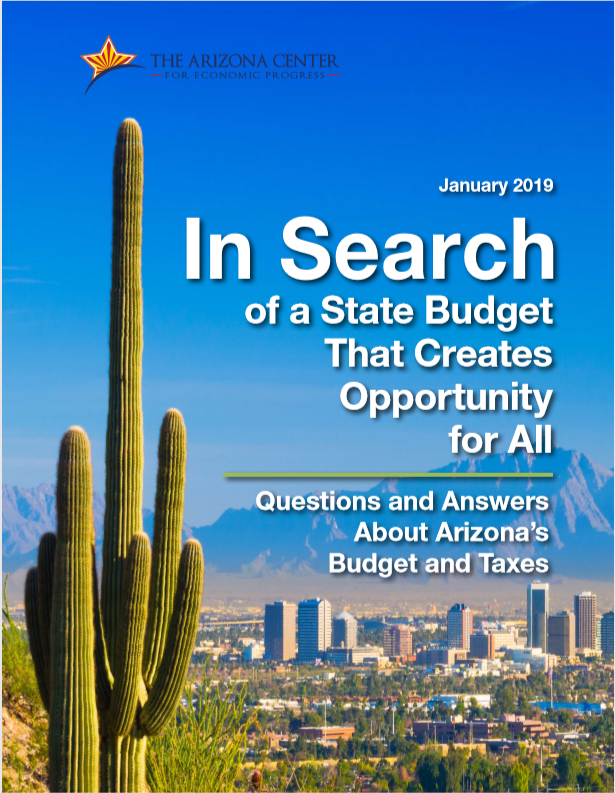 We are pleased to share with you our annual publication, In Search of a State Budget That Creates Opportunity for All, which provides information on how the state budget and tax decisions our legislature will make in 2019 impact the ability of all Arizonans to share in our state’s economic prosperity.